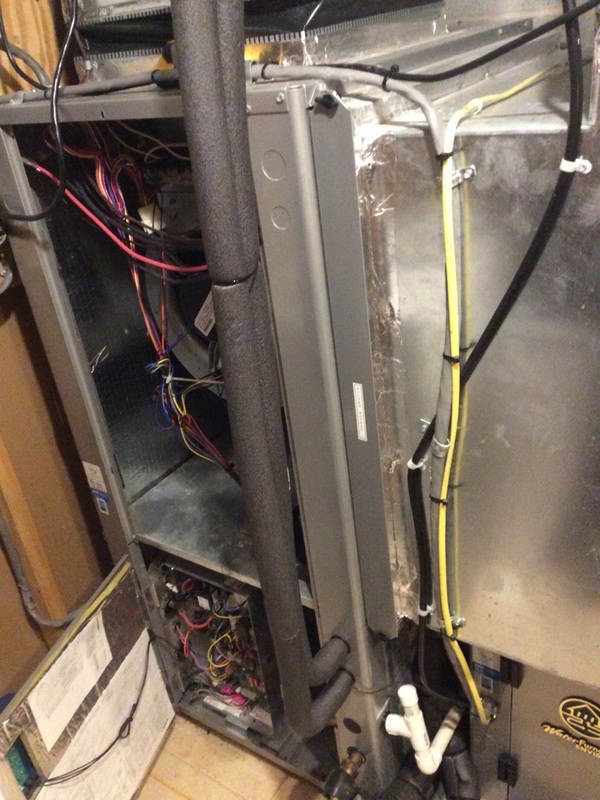 Supreme Air provides Air Conditioning, Heating and Plumbing Services, Repair, Installation, Maintenance, and Tune Up in Phoenix, MD and surrounding areas. Supreme Air installed our Geothermal system a few years ago. We love it and have really enjoyed working with Supreme on standard maintenance and tune ups. Very friendly and professional. Fall pm on 03/06/19 On arrival set units to call for heat measured supply and return air temp measured voltage and amps inspected electrical connections checked drain and cleaned checked filters units tested units operating normal at this time. I operated the units on second and auxiliary heat stages. I replaced the filter in the attic unit. I decreased blower speed on the split system as well to increase temperature rise. I confirmed proper flow rates and heat of extraction. I checked the electrical wiring and electrical systems, all are within specification. There was a blown fuse on one leg of the service disconnect for the third auxiliary heat strip. I replaced it and the auxiliary heat strip energized normally. Both units are operating normal.